Barely two weeks after it revised the 2015 budget oil benchmark price from $78 to $73, the federal government is set to embark on a further cut to below $70 as the dwindling prices of the commodity in the international market are yet to return to the pre-June era. A new Medium Term Expenditure Framework (MTEF) is to be sent to the National Assembly in line with the scenario-based approach being adopted by the government in response to dwindling oil prices. 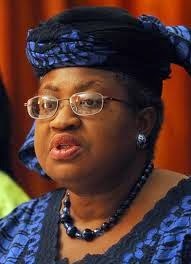 The Coordinating Minister for the Economy and Minister of Finance, Dr. Ngozi Okonjo-Iweala, who gave an indication that a revised oil benchmark price for the 2015 budget is in the offing, said a new MTEF is to be submitted to the National Assembly if President Goodluck Jonathan okays a proposal being sent to him from her office and the Budget Office of the Federation. In an interview with THISDAY in Abuja Tuesday, the minister said: “If you recall, I had always as recently as three, four days ago said we have a central scenario of a reduced budget benchmark of $73 because we talked to a lot of analysts. We got ranges of $60 to $85. And so, we took a mid-point and that is $73. “But we have always been clear that the price could certainly fall lower, and that’s why we took this scenario-based approach. I have said openly that we have done scenarios around $70, we’ve done $65, we’ve done $60, and we will kick those scenarios in as the situation evolves. So, yes, we have looked at it and we decided that we are going to propose a lower benchmark than what we have, south of $70…. “Exactly, we are sending a new MTEF. We have sent the proposal to Mr. President. We have been going back to the National Assembly as the situation evolves. We’re now sending a proposal; that is a revised MTEF to Mr. president, which he will look at and if it is okay with him for onward transmission to the National Assembly. ”It’s nothing new because it has been said we have these alternative scenarios. As soon as we look at the situation, we kick the appropriate scenario in. We have been prepared, that’s why the turnaround has not been that long," she said.